Cost: $2 per Scout until Feb 23rd, after $3. Each Pack will have their own time slot to race their pinewood derby cars. The top racers from each Pack will return at the end of the day for the exciting District-wide competition. Packs that hold their own races, independent of Derby Day, are invited to send their top racers to the District-wide competition as well. 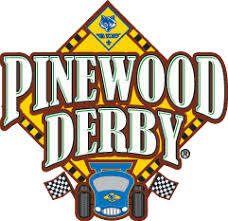 We invite Packs that run their own Pinewood Derby to send their Dens/Packs winners to join in the Race of Champions at aproximately 3:00pm. Send your 2019 Race Template & Race Time Request roster of winners to Rick Pickelhaupt and register. Each participating Pack must provide support for the event. This can be during set-up, clean-up or during the Race of Champions. Assignments will be reviewed during planning meetings. Cub Scouts design and build their own car using the Official Pinewood Derby Car Kit, available at the Scout Store at the Greater Niagara Frontier Council Service Center. Cubs may use official accessories to enhance the design and look of their car. Packs submit the 2019 Race Template & Race Time Request spreadsheet by email to Rick Pickelhaupt by March 2, 2019. Race time maybe adjusted based on size of your pack. An email confirmation will be provide. After 2/24/2019 a fee of $1.00 will apply to all Bears Registrants. After 2/24/2019 a fee of $1.00 will apply to all Lions Registrants. After 2/24/2019 a fee of $1.00 will apply to all Tigers Registrants. After 2/24/2019 a fee of $1.00 will apply to all Webelos I Registrants. After 2/24/2019 a fee of $1.00 will apply to all Webelos II Registrants. After 2/24/2019 a fee of $1.00 will apply to all Wolfs Registrants.